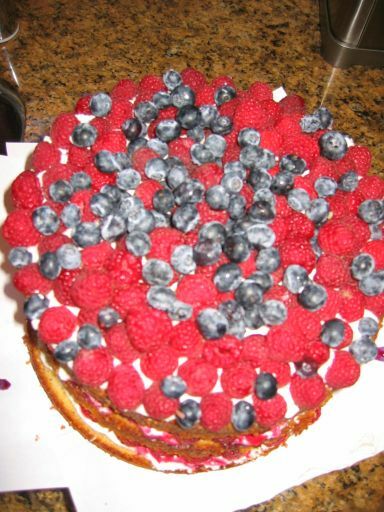 I love this cake and I this must be the 4th time I made it. 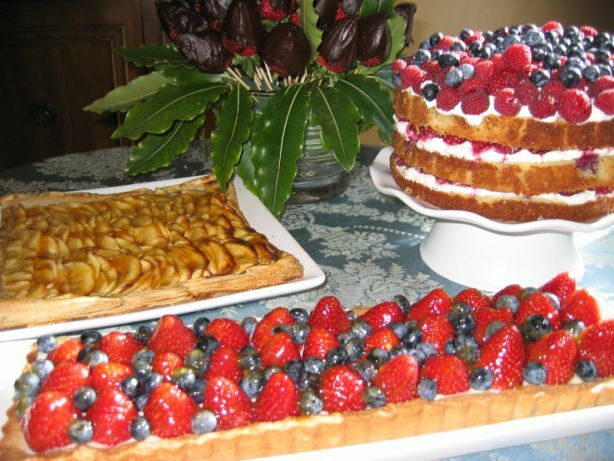 It is really moist and I also love the filling which is made with crème frâiche and heavy cream. 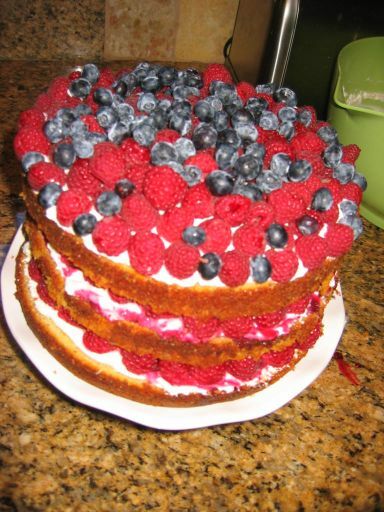 This a three layer cake filled with lots raspberries and blueberries. 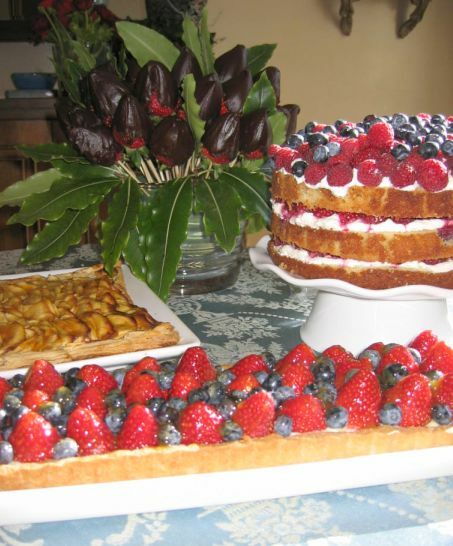 All the desserts are so colorfull! 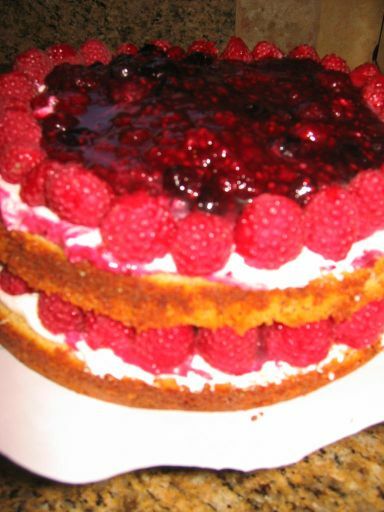 Closer look at the cake. 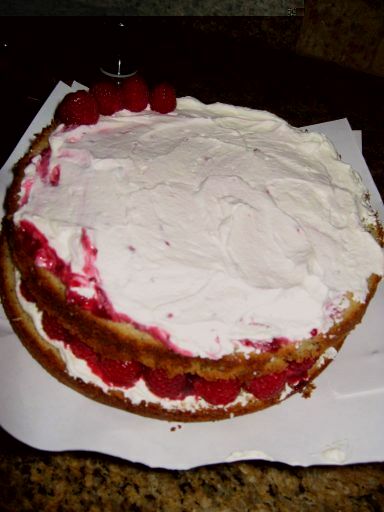 Layering the cake with the cream and lining fresh raspberries around the cake. 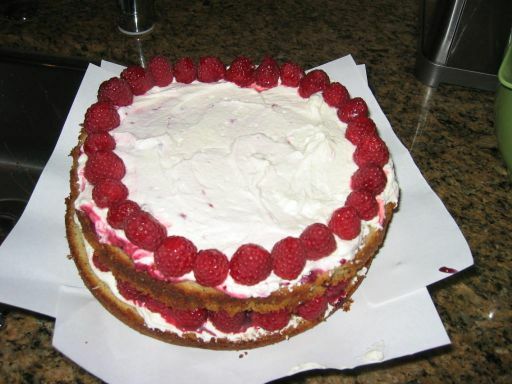 One the raspberries are lined up I filled the center of the cake with some cooked berries in syrup. 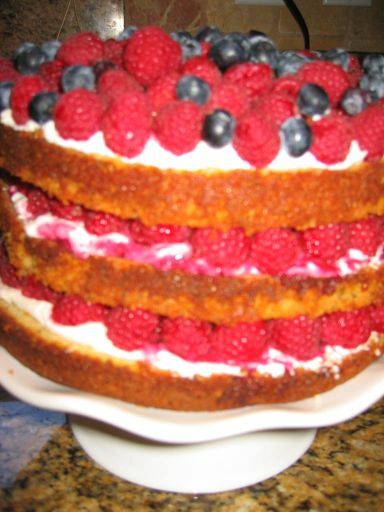 The last layer is filled with cream and then top with lots and lots of raspberries and blue berries.